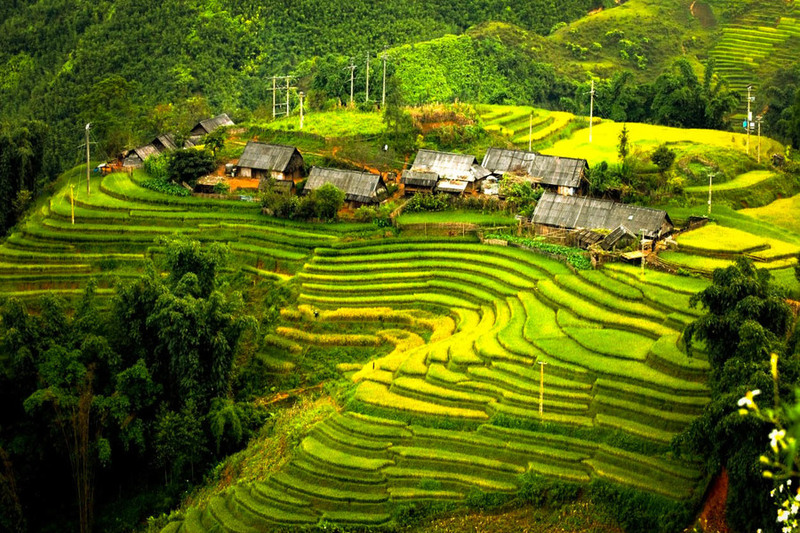 The villages in Sapa are an indispensable part of Sapa tours. Along with the beautiful scenery of the mountains and forests. 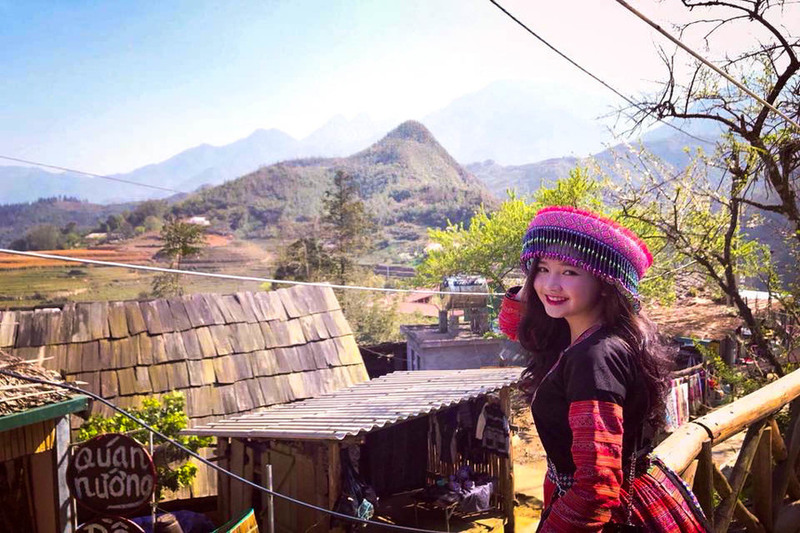 The village of ethnic minorities here attracts large numbers of visitors to Sapa every year. In Sapa, in addition to the Kinh people. There are five ethnic groups including the H'mong are the largest, followed by Dao Do, Giay, Tay and Xa Pho. 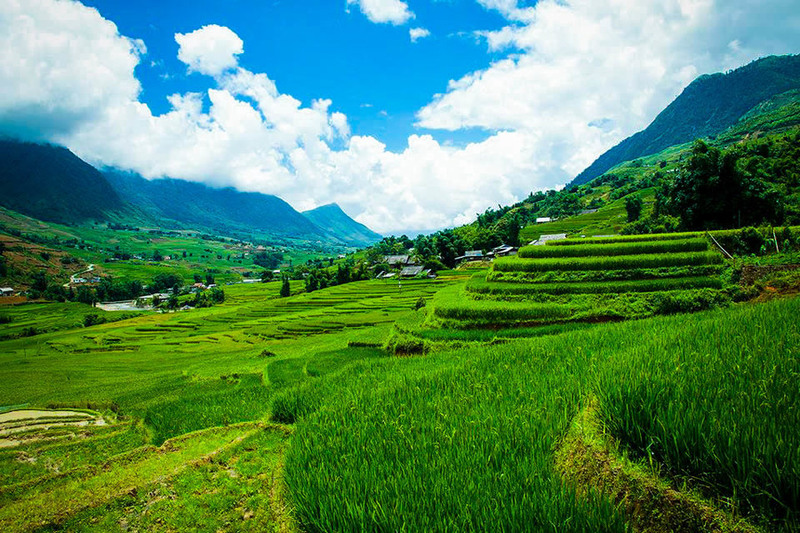 With this post, we would like to recommend you 7 best villages should visit while travel to Sapa Vietnam. Cat Cat is the most popular ethnic village and the most visited tourists. It's just only 3 km from Sapa town. This is a small village of the Black H'mong ethnic community. Besides beautiful scenery with terraced fields and Muong Hoa streams. Cat Cat village was built more infrastructure for tourism. Such as small streets paved with stone through the village center, exhibits, and artifacts. labor products of the people, conservation of handicrafts. At the center of the village is the location of the hydroelectric power plant built by the French on Muong Hoa stream. Now the place is a place for local performances to serve tourists daily. From Sapa town about 14 km toward Lao Cai city. Ta Phin village is home of Red Dao ethnic group. Ta Phin is located in a four-sided valley, but quite wide and flat. This place is famous for bath salts that make up the brand "bath medicine leaf Red Dao." When walking around the town of Sapa. You will find many massage parlors with bathtubs of Red Dao. Today Ta Phin is one of the strongest developments in homestay service. In addition to visiting the ancient village. Visitors can experience bathing medicine, buying brocade, or enjoy the specialties served by the restaurant here. From Sapa town to the southwest about 9 km will come to Lao Chai village. This is a village of H'mong people, with houses interwoven with terraced fields. Back to the Hoang Lien Son range is majestic, in front of Muong Hoa stream flows through, and the terraces are the wide ladder. 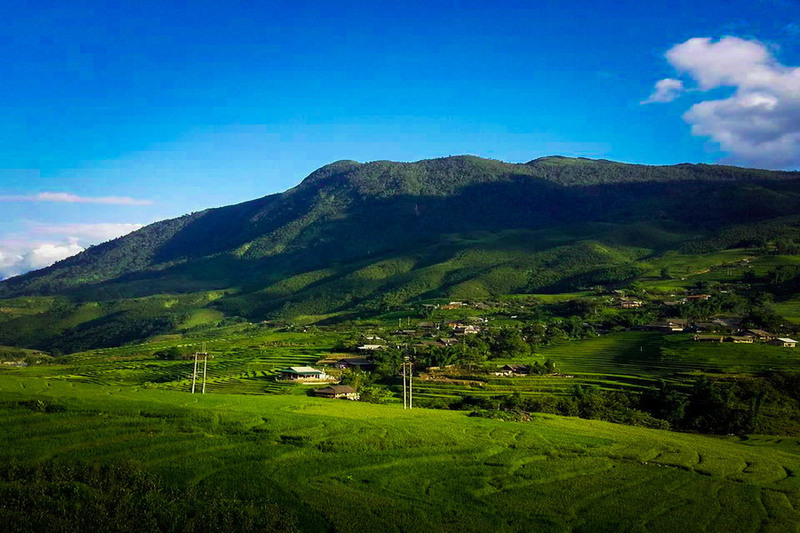 Lao Chai is the charming landscape, the second most beautiful in Sapa. Passing Lao Chai village 3 km you will come to Ta Van village. Where Giay ethnic communities live. 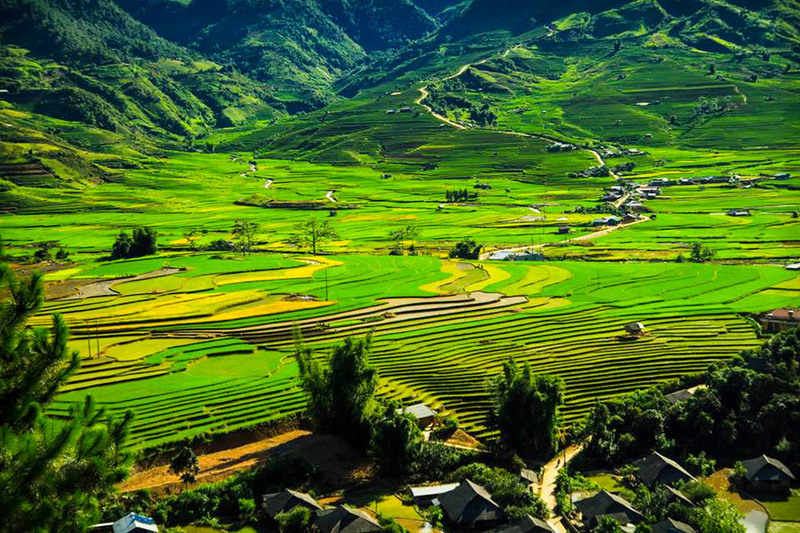 Located in the valley with streams flowing Muong Hoa, terraces rice field here is very beautiful. Along with Lao Chai combined into a common name for a tourist site "Lao Chai - Ta Van". Ta Van is the strongest homestay service development. There are many homestay rentals in Sapa. Visiting Ta Van, tourists can also stop for lunch at local restaurants. 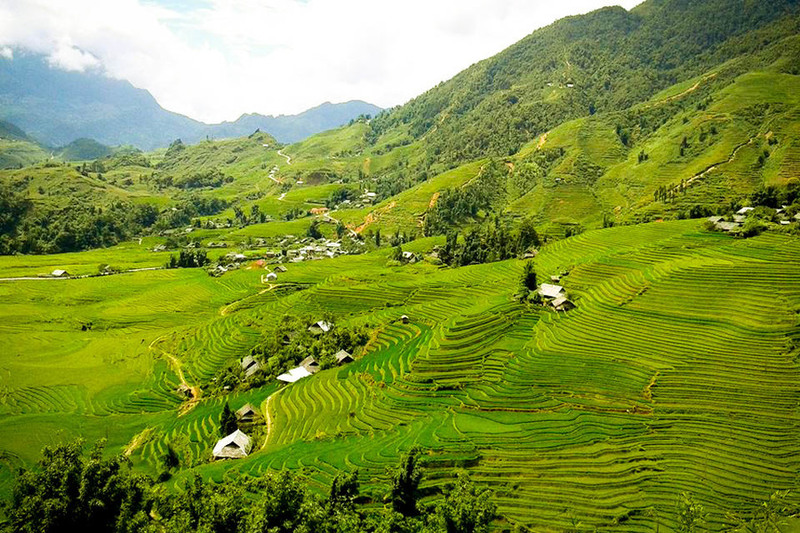 You may interest homestay in Sapa for your travel list. Passing Cat Cat village about 2 km you will come to Sin Chai. 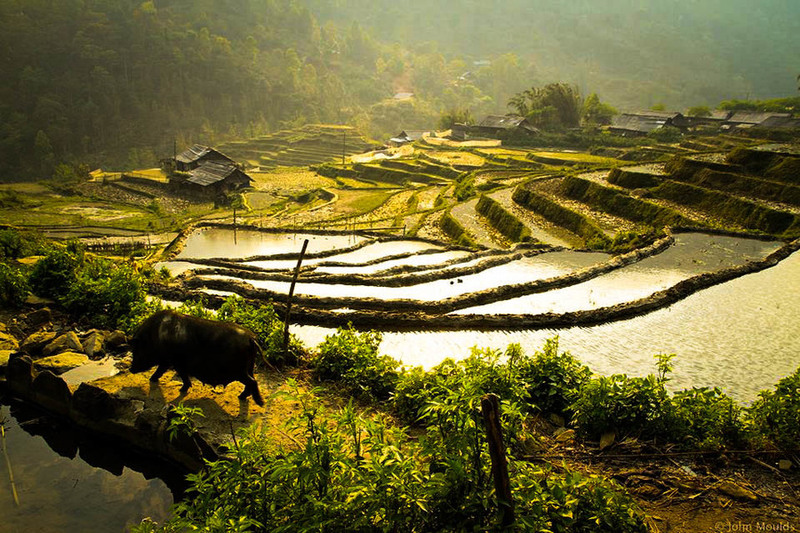 Although it is located quite near the town of Sapa. But this place is not traveling as much as other villages. This is the ideal place for visitors to observe and learn the life of the native black H'mong. The typical H'mong wood-walled houses are just off the road from the beginning to the end of the road, with only a motorbike passage. The terraces around the village are not spectacular but have special features in the rice. Approximately 30 km from the town of Sapa in the same direction as Lao Chai - Ta Van. Ho is a village of the Tay, with a relatively small population compared to other ethnic groups. Located in the small valley is downstream of Muong Hoa stream. To go from the main road down. You have to go through the majestic roundabout, beautiful. The most interesting thing about Ho village is the homestay experience in the typical house on stilts here, along with the excellent food and bathing in a stream can't be ignored. Often not mentioned much, but the Y Linh Ho is very suitable for trekking tours. Standing on the southern edge of the town of Sapa, looking down at the foot of the Y Linh Ho village. Feeling very close but to go down very far due to the difference in topography, and the road to the village is difficult to go. From Cat Cat village go down, or follow the slopes from Sapa town down. Then trekking along the trails through the terraced fields interspersed with the H'mong wood wall is the experience. Memorable.